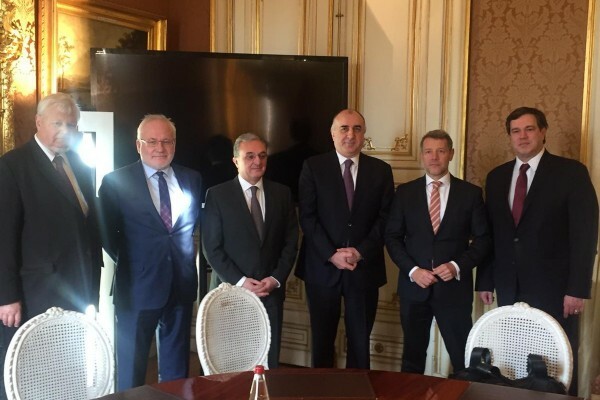 Today OSCE Minsk Group co-chairs will meet Elmar Mammadyarov, Foreign Minister of Azerbaijan and Zohrab Mnasakanyan, Armenian Foreign Minister, ONA reported. ONA's Moscow correspondent reports that Maria Zakharova, the Director of the Information and Press Department of the Ministry of Foreign Affairs of the Russian Federation, said at a briefing today. According to her, the meeting with the ministers will address issues that will be discussed tomorrow at the meeting of the leaders of Azerbaijan and Armenia.